I know that Friday’s have been a day of extravagance recently, but this Friday was supposed to be different. J was heading home to Chicago for the weekend and because we’re down to one 4WD car due to my accident a couple weeks ago, she was planning on taking an Amtrak. In typical Amtrak fashion, they were running late. Way late. So late that we decided it was faster just to drive to New Buffalo and meet J’s mom halfway instead of waiting on such a worthless transportation system which showed up to Kalamazoo four hours late. While we were trying to figure out travel arrangements, I told J that I needed to run somewhere for lunch. I threw out about a dozen suggestions, but nothing sounded good to her. At one point, I said something about Taco Bell which reminded her of Taco Bob’s. When we were coming home from Paw Paw last week via Red Arrow Highway, we drove by a Taco Bob’s location we didn’t even know existed. Not to far before you get to 9th Street, if you’re coming from the west, you come across a newer strip development with a lot of empty stores. 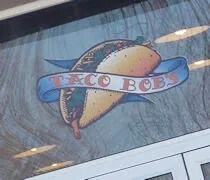 One of the few stores that is occupied is a Taco Bob’s. It’s still pretty hard to find. Even when I was looking for it and knew it was there, I had a hard time finding it. Since I was coming from the East, I had to turn in to the development before I got to the building. The “front” of the store is actually on the side opposite of the street, so there’s really not a very good street presence. There is a really small sign near the road, but it’s easy to miss. The store is set up like the other Taco Bob’s I’ve been to. There’s a small seating area and an order counter that has high walls so you can’t see in to the small kitchen area. There was only one guy working when I walked in around noon and he was doing it all. There were a couple other people in front of me and two more people sitting at a table and eating. The lone employee finished up the order he was working on then took the order of the guy in front of me and myself before heading back to the kitchen area to put them together. J had gotten on the website before I left so I had a list with what I needed which made things go pretty quickly. For myself, I ordered four hardshell tacos. Pretty typical order for me. For J, I ordered a Funny Taco, a Cheesy Taco, and a small order of tortilla chips and salsa. Since they had Pepsi on the fountain, I ordered both of us a pop. The total was a little over $16. It took a little more than five minutes for our food to be assembled and packed up for the short drive back home. This is the third Taco Bob’s I’ve eaten at since moving to Kalamazoo (Milwood and Centre Avenue are the other other two) so I’ve already gone in to detail about the tacos. I’ll just reiterate that I like them. I like them more than the competitors, but they do cost more than the same thing at Taco Bell….although I bet Taco Bob’s ground beef is more than 35% meat. J really liked her meal. The Funny Taco is a really cool idea. 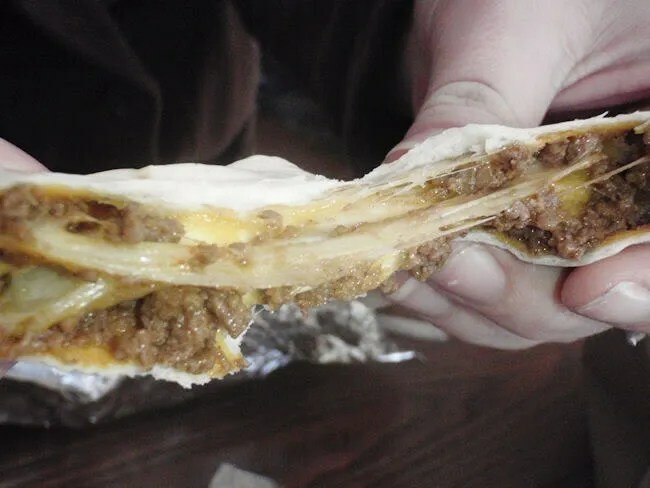 It’s a hard shell taco wrapped in a soft shell taco with a layer of nacho cheese in the middle. What’s not to like about that? 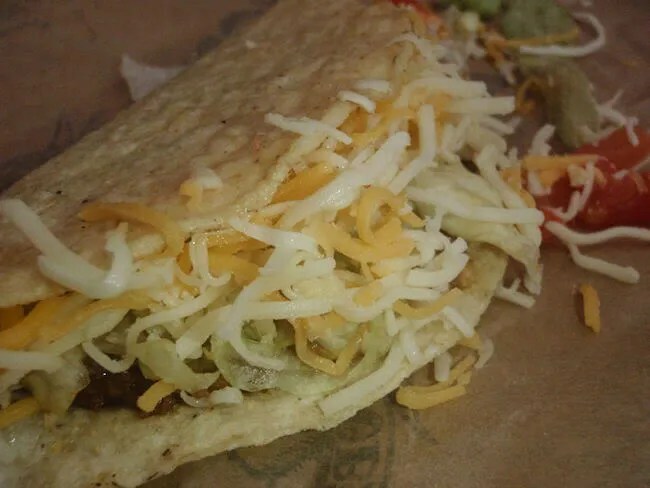 The Cheesy Taco is a soft shell taco with ground beef, sour cream, and nacho cheese instead of shredded cheese. Anything to make things more cheesy makes J happy. The tortilla chips, as I’ve mentioned in the past, are much lighter and have more of a home made feel to them than the normal restaurant chips. 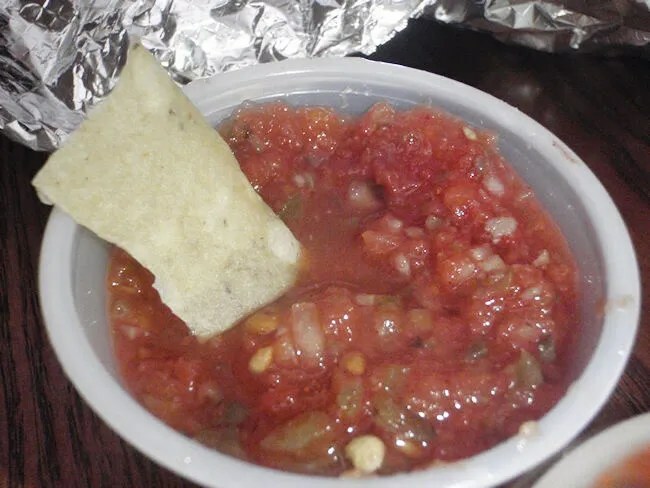 We could have used a little more salsa than what comes in the small cup, but what was there was good. 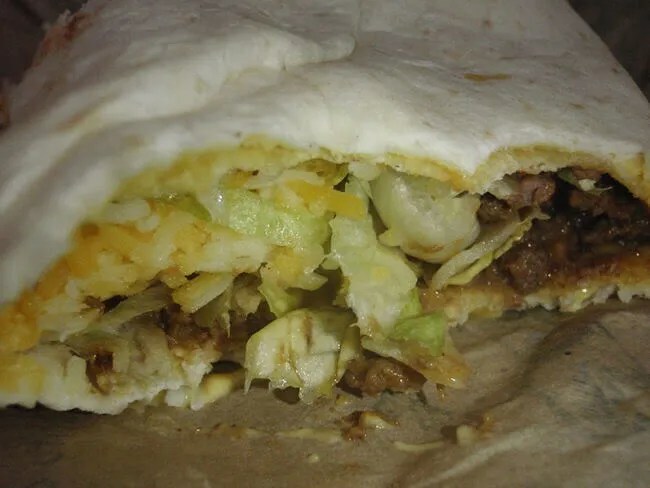 Taco Bob’s is always a good alternative to fast food burgers and fries. This location just seems hard to find. Maybe I’m wrong. I usually am. I get directionally challenged sometimes. 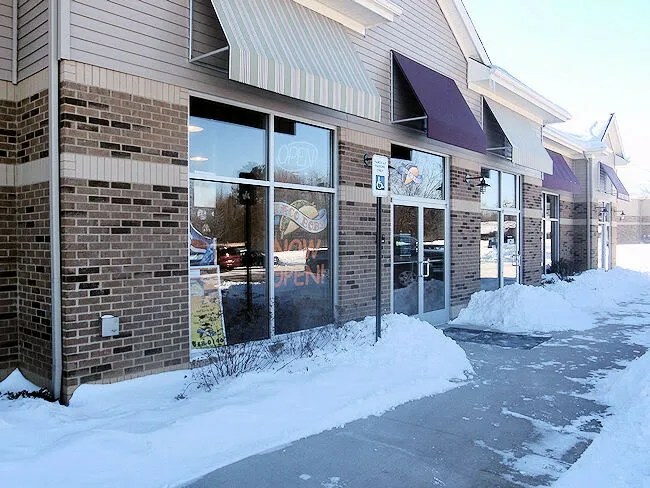 I really hope this location makes it because it is close to our home and I think J liked it more than Taco Bell so it’s a place that could always make it in to our “we need something quick” rotation.